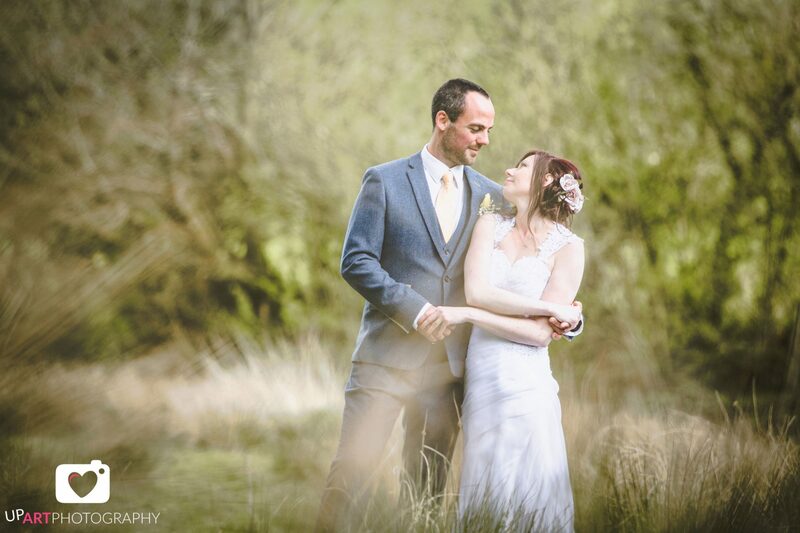 On the May bank holiday weekend of this year we were honoured to be hosting Nic and Gaz O’Brien’s beautiful marriage ceremony and wedding celebrations. 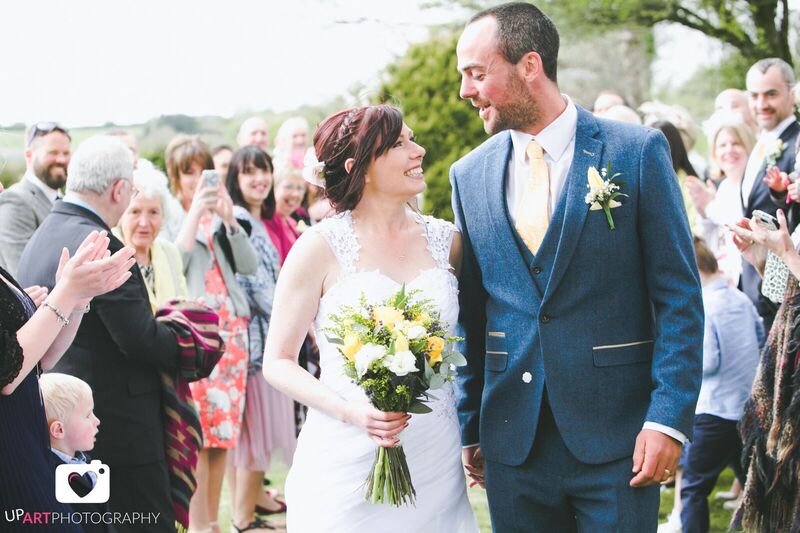 We were delighted to offer the perfect location for the outdoor wedding of their dreams, surrounded by their loved ones and the Cornish countryside on the late April day. 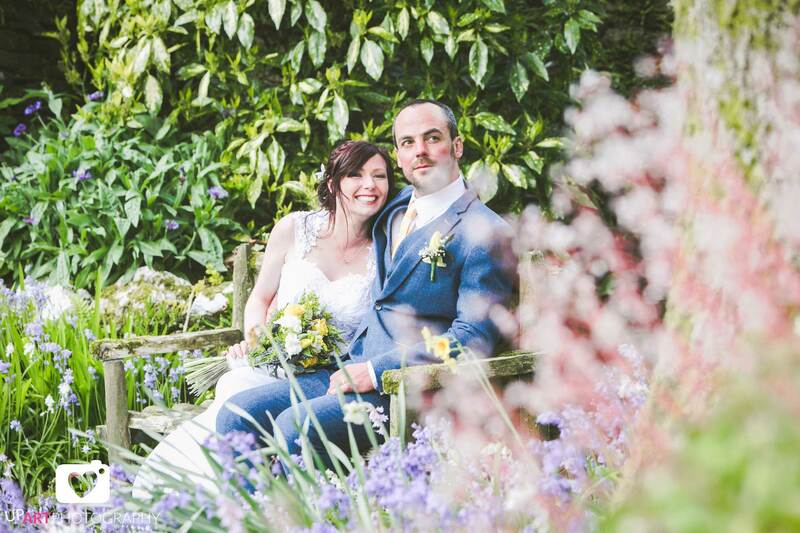 After the gorgeous bride and her handsome groom said their heartfelt vows, they could walk back down the aisle hand-in-hand, looking out at the backdrop to their special day – our pretty wildlife pond. 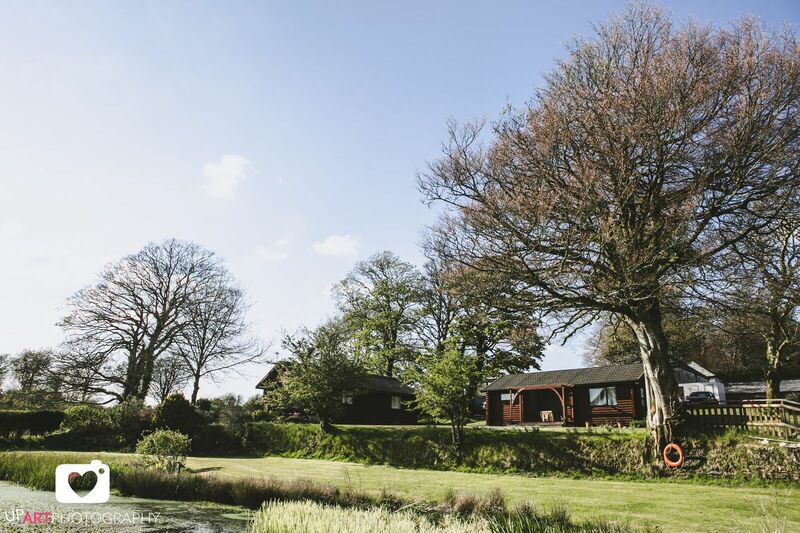 The resident moorhens and mallard ducks watched the romantic display with interest, while the towering green trees and blooming flowers framed the event. The bridesmaids wore elegant dark blue dresses with peacock detailing that set off the lovely yellow bouquets perfectly. But the star of the day was the bride who walked down the aisle looking stunning in an exquisite gown with a sheer embellished-lace back, and pretty pale-coloured roses decorating her up-do. Everyone enjoyed celebratory drinks garnished with raspberries and wandered the grounds, taking in the romantic setting. 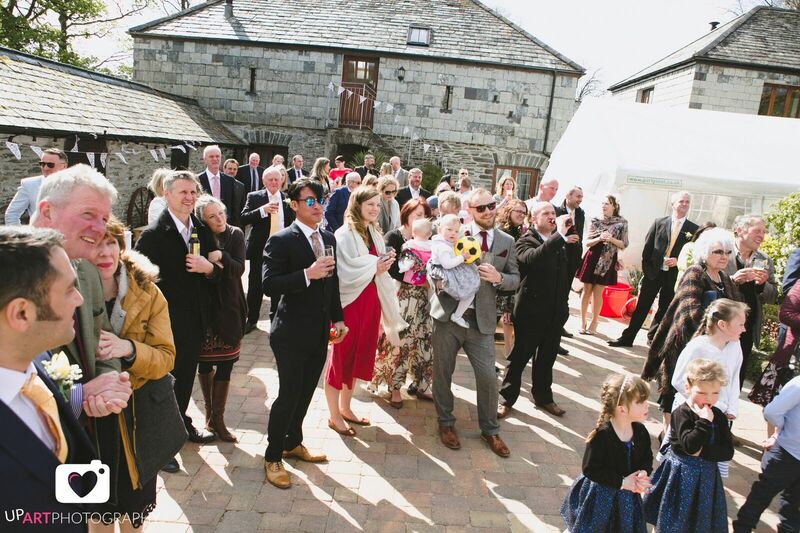 After making the most of Ta Mill’s photo opportunities with the wonderful UpArt Photography the guests were treated to toasts and speeches in the courtyard before celebrating the union of two families in the courtyard room. 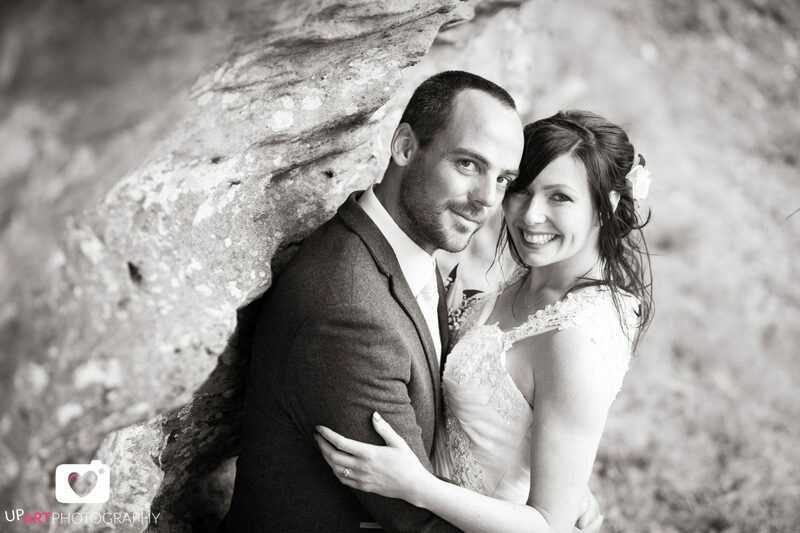 Although the couple are based in the South West guests came from all parts of the UK including the groom’s family from Warwickshire. They all tucked into a Cornish-set wedding which they cleverly emphasised with their location-based table names from all over the region. 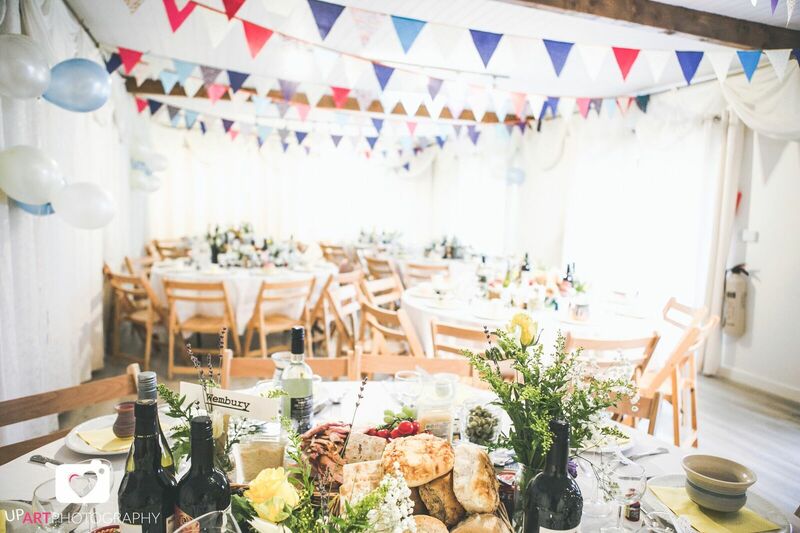 The room was decorated in a way that reflected the bride and groom’s joy for their special day with bright delicate flowers on every table, provided by St Mellion Flowers and bold multi-coloured bunting streamed along the ceiling. Along with flowers, each table had a generous offering of food at its centre, with bread and cheeses and pickles galore (and much more!). The wedding cake complimented their bright but delicate colour theme, an understated white iced treat adorned with lemon roses and daffodils that served to delightfully top the cake. 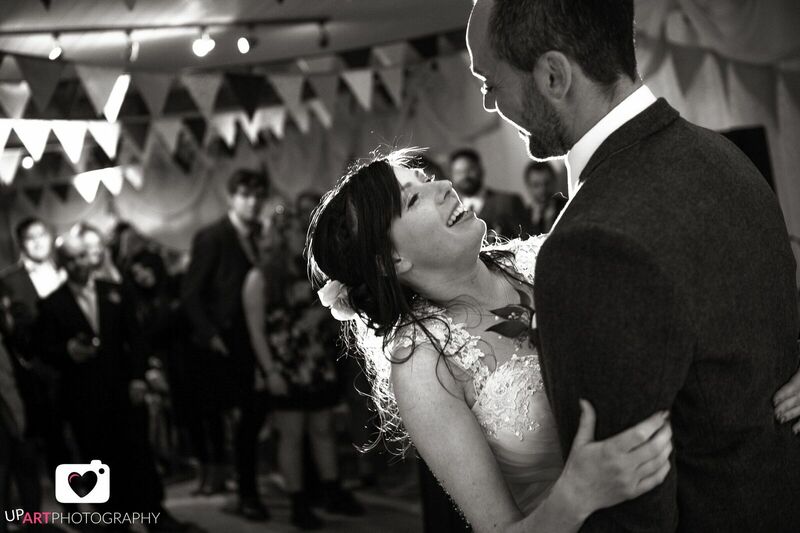 Nic and Gaz had a beautifully sweet wedding day that also celebrated their shared love for the South West and their love of the outdoors. 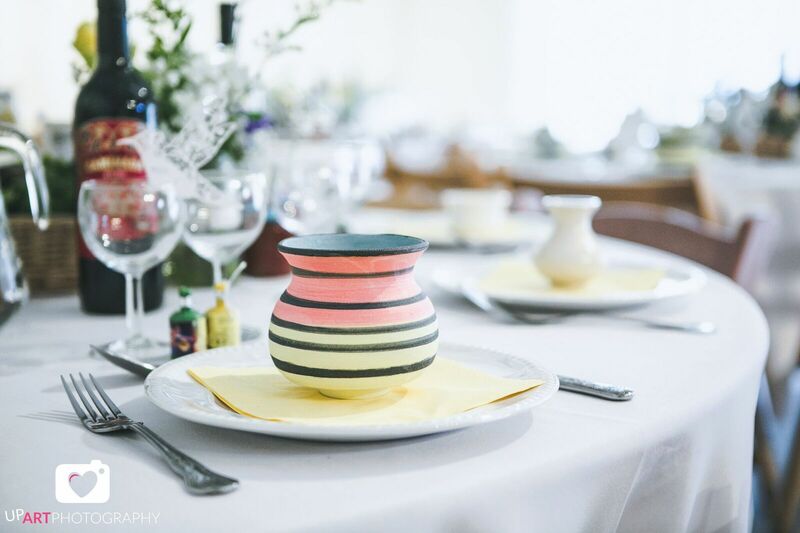 The bright colour scheme was enough to make us smile but what really touched our hearts was the smiles the bride, groom and all of their guests were wearing for the entire special day.